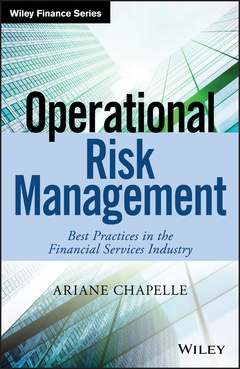 Operational Risk Management offers the most current information available for putting in place an effective risk management program for a financial services firm. Comprehensive in scope, the book outlines the frameworks, tools and techniques that successful firms use to identify, assess, mitigate and monitor risk within their organisations. The different chapters present a holistic approach, which helps to clarify the relationship between the different components of a risk management framework and offers a consistent view of effective risk management. This flexible framework can be tailored to each firm based on its own practices, size and business complexity. Operational Risk Management offers the information risk managers need not only to help their organisations avoid crises, but also to safely recognise new opportunities, achieve their full potential, and reach new heights of success.